The Washington Herald, May 24, 1906, p. 5. Just as Chevy Chase, the suburb, was promoted as an exclusive development, the amusement park was marketed, and perceived to be, exclusive. That made it special – “high class” in all senses of the phrase, but it also meant that certain people and behaviors were excluded. People of color were turned away from the park by guards. This was the Jim Crow period, when "separate but equal" became the law of the land after the Plessy v. Ferguson decision by the U.S. Supreme Court in 1896. In addition to being racially exclusive, alcohol was not allowed by the management, and sexually suggestive dances were banned. The Washington Herald, May 26, 1907, p. 4. “Chevy Chase Lake and the amusement park had a wonderful reputation as a high class amusement park, no rowdyism, no drinking or smoking or carousing.” James Pugh, 1976. You can read Mr. Pugh’s memoir in the next section of this exhibit, called "James Pugh's Memoir." "No Games of Chance, No Rowdyism"
By “games of chance,” Mrs. Jarvis meant gambling, which was never allowed, although in the last years of operation in the 1930s, bingo was an attraction. But in the early years, there were always plenty of other games and amusements. For example, patrons could practice their bowling skills with ten-pin bowling. Both Mrs. Jarvis and Mr. Pugh agree that “rowdyism” was never allowed at Chevy Chase Lake. Alcohol was not served or allowed until after Prohibition was repealed in 1933, and this surely contributed to the “atmosphere of dignity” in the early decades of the amusement park. 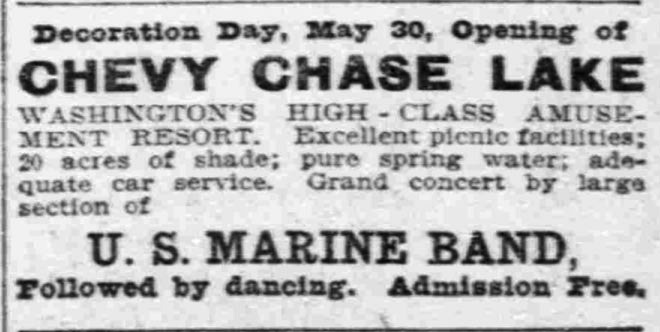 At the turn of the century, the regulations at the amusement park were reinforced in publicity notices and display ads in local newspapers that describe the ideal patrons of Chevy Chase Lake. The phrase “Washington’s High Class Amusement Resort” appeared in ads in The Washington Times and The Washington Herald between 1900 and 1912. Other frequently used descriptions included references to the park patrons as “the better classes” (June 18, 1899, The Washington Post). The phrases “higher classes” and “most refined patronage” appear in local newspapers between 1907 and 1909. By intention, the desired patron of the amusement park was someone who might aspire to purchase a house lot in the new exclusive suburban development – a person of wealth who could afford to build a home worth $3,000 to $5,000. 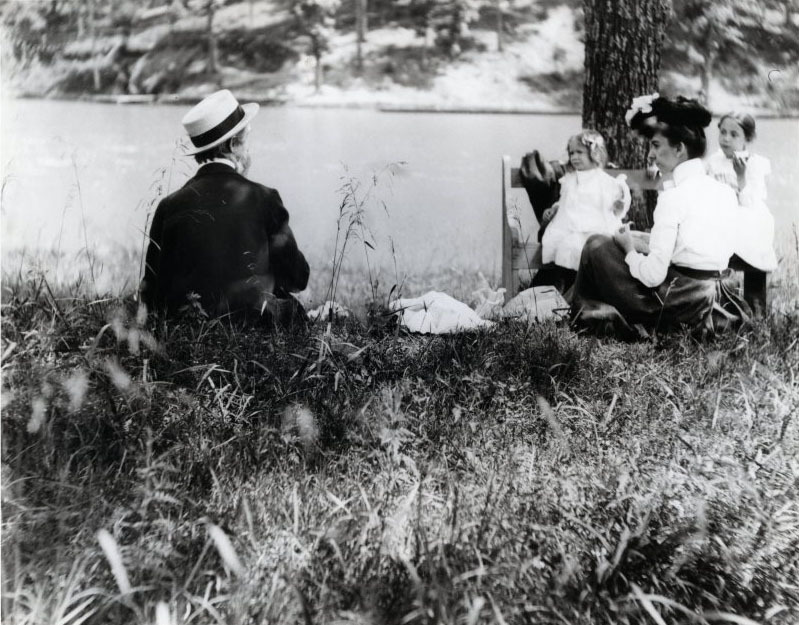 In addition to appealing to the “better classes,” the management of Chevy Chase Lake promoted the park as ideal for families in the first few decades of operation. 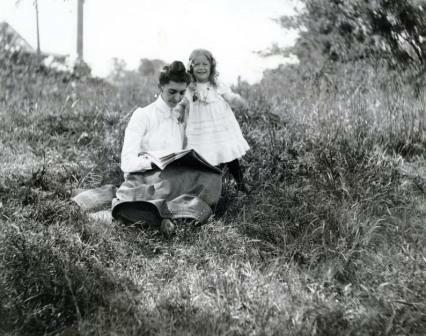 In 1899, for example, a publicity notice described the resort as “more popular than ever,” and after listing all the amusements, stated “Chevy Chase Lake is a paradise for children and for the tired and weary it is a haven of rest.” As photographs taken by Henry Arthur Taft of his family show, children, parents, and grandparents enjoyed a picnic – and an ice cream – at the park in 1902. The Taft Family at Chevy Chase Lake, August 25, 1902, by Henry Arthur Taft. Reproduced with permission of Ann Henry. Grace Jennings Taft and her daughter Evelina Gladys Taft at Chevy Chase Lake, August 25, 1902, by Henry Arthur Taft,. Reproduced with permission of Ann Henry. In 1904 and 1905, this message is repeated, along with the assurance that the “moral tone” of the amusement park was always maintained – particularly important for “family parties of ladies and children.” Family picnics continued to be featured in many publicity notices until the 1920s, when music and dancing became the primary attractions. The “moral tone” described in ads and publicity was achieved with uniformed guards, whose purpose, as described in The Washington Post on August 17, 1902, was “to maintain a family resort of the highest character.” In a similar article, just a few days later (August 21, 1902), we learn that “Uniformed guards are in constant attendance at Chevy Chase Lake, insuring perfect order.” These uniformed guards kept out the “undesirable element” so that women and children could safely visit the park without, presumably, the protection of adult men. In 1898, a black couple were turned away from the amusement park by guards. Read more about this on the next page.